I believe that whatever work we are given to do, or we choose to do – we do it with passion! As a young child my beloved, eccentric grandmother, Marie Kelly, engaged me in the process of reading on our weekend dates. It is to her credit, and my childhood insomnia, that I became a voracious reader. One of the many books she read with me was Kahlil Gibran’s The Prophet. She would pour us our tea, sit in her big old reading chair and I’d cuddle up close. I know I loved the sound of Gibran’s language and thanks to her explanations and enthusiasm, his spirituality filled my heart and soul. With time, the memory of reading with her fondly remained, but the knowledge of Gibran faded. Then in my university days I came across a copy of The Prophet in a used bookstore. 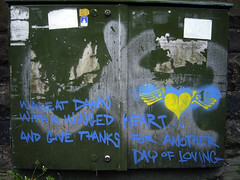 As I picked it up, a flood of fond memories – long forgotten – surged upon my heart. I picked up the copy for $5 – an expensive indulgence. 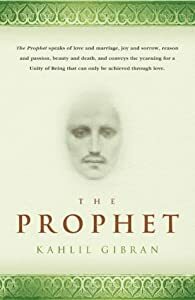 I quickly made my way back to my dorm room, made a cup of Earl Grey tea, crawled up on my bed and regressed into the memory of that day with my granny and Gibran, and my soul was rekindled with the profound philosophies of the prophet. One chapter serendipitously fell open: On Work. This philosophy has driven my work life, and I do work very hard with pure love, as if I were doing it for my beloved. This value of work is a family trait. My parents were very hard-working and proud of all they did both in their professions and in the work they did at home. My mother was an obstetrics nurse and she lovingly cared for all her patients as if they were her own: we couldn’t walk down streets without people running up to hug her and tell me how lucky I was to have her as a mom. She gave 100% to her 12 hours shifts and if needed, never left a poor mother in labour alone if her time on the clock was over. She is beloved for her commitment and love to those young mothers and babes. She brought the same discipline of work into the home, which she kept clean and relatively organized for a working mom, and all celebration was a well-crafted event. Although my dad’s days were not nearly intense as a traveling salesman, he did everything with great passion. He built strong relationships with his clients and there are few sales reps who could sell pickles and flour like my father. With great pride and flare he’d design, build and maintain amazing displays in the grocer’s aisles that would inspire one to bake year round while chewing on a salty dill! He’d chronicle his genius with photos and inevitably win all company competitions and bonuses. Like my mother, he brought this intense work ethic into his home work – our yard was weed-free and impeccably maintained, the envy of the neighbourhood, and my few attempts at mowing the lawn would draw a scowl and frown when I didn’t run the mower in the proper lines; in winter our driveway would not have a spec of ice or snow and the snow-piles lining the drive looked like Moses’ parting of the Red Sea, and thanks to his spirit, Santa himself would have chosen our home for Christmas. Okay, I admit I’ve teased and complained about the intensity and OCD of my folks, but I know that the apple has not fallen far from the tree, it has only taken me decades to admit it!! Although it is safe to say that I have seen my share of crumbs on my floor and I have never parted the Red Sea!